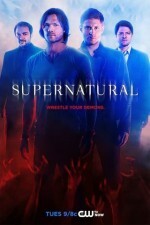 Coming to San Francisco for the Supernatural Convention? So are we! We had a blast at the 2015 and 2016 Salute to Supernatural conventions in San Francisco, and the next one can’t come too soon. The convention will once again be held at the Hyatt Regency, near the airport (not to be confused with the downtown “High Anxiety” Hyatt Regency). Staying in the same hotel as the convention is recommended, as events such as the Saturday Night Special go late into the night. Besides, it gives you the chance to hang out with the amazing #SPNFamily. Supernatural conventions are busy affairs, and #SPNSF is no exception. Depending on your photo and autograph schedule, you might find yourself with enough time to go for a walk along the bay, get out to a local restaurant, or even head up the peninsula to San Francisco for a few hours. The hotel is in the lovely city of Burlingame, and the Bay Trail system is just across the street along the water if you need to get outside for a spell. If you walk left (north) along the water’s edge for less than half a mile, you’ll find the Shorebird Sanctuary (just past Benihana)—a sanctuary for several species of migratory birds. Keep going another half mile or so along the paved trail and you’ll end up in Bayfront Park, a premier location for watching planes take off and land at SFO. Another nearby treat can be found at the It’s-It Ice Cream Factory. The It’s-It Ice Cream Sandwich is a San Francisco tradition and it’s only a 6-minute walk from the hotel! There are no factory tours, but the retail shop has flavors hard to find anywhere else. They’re open weekdays 10am to 5:30pm, so only Friday people get to enjoy this special treat during the convention, and rightfully so. If you’re looking to venture further, the SamTrans #292 bus, available from the hotel, can get you to anywhere from the Hillsdale Shopping Center in San Mateo to the south to Downtown San Francisco to the north, including charming downtown Burlingame. The 292 can even help you find your way to the one and only Museum of Pez Memorabilia, if that’s your thing. The city of Burlingame also offers a free “trolley” to take you from the airport hotels into town. There are stops at the cute Broadway and Burlingame Avenue shopping districts. Walking from the hotel into “town” can be a challenge, but the Burlingame Trolley is free and picks up right at the hotel. The Hyatt Regency San Francisco Airport is about a 40-minute drive from downtown San Francisco. If you’re staying an extra day or two, be sure to spend some time in the City. But even if your time is limited, you may still be able spend a few hours seeing what all the fuss is about. The hotel has a free 24-hour shuttle bus leaving every 10 minutes or so that will bring you to the hotel from the airport, and this shuttle can also help you get into the City if you want to take a day trip. Take the shuttle back to the airport, and from there catch a BART train into town, which should take less than 30 minutes each way from the airport. BART is quick and inexpensive—about $8.65 for a one-way trip into downtown SF—but remember, although BART trains begin running very early in the morning, they do not run all night! Plan to head back to the hotel by midnight if you want to catch a train before they stop running at around 1am. If you are willing to pay more, you can always take Uber or Lyft. Nightingale House, Lower Haight, San Francisco. To visit the Union Square downtown shopping district or to go for a cable car ride, get off the BART train at Powell Street. Powell Street Station is also the location of the San Francisco Information Center. It’s below street level at Hallidie Plaza. You can pick up free street maps and brochures, purchase transit passes, and get great advice and directions from the knowledgeable staff. Cable Car tip: instead of waiting in line to board at a busy end-of-the-line turntable, walk up a few stops and then hop on. If you haven’t purchased a transit pass or ticket you can pay the $7 in cash to the conductor when you board. And remember—unlike a bus, a cable car cannot pull over to pick you up! Wait on the sidewalk, wave to the grip operator as the cable car approaches, then wait for it to stop before hopping aboard. And hold on! To catch an F-Line historic streetcar north to Fisherman’s Wharf or west to the Castro, disembark BART at Embarcadero Station. But you might first want to grab a gourmet snack at the Ferry Building, then walk (or take a pedicab) north along the waterfront to the Exploratorium at Pier 15. There’s a Bay view walk around Pier 15, where several times a day you can experience thick clouds of San Francisco Fog (known to locals as “Karl“) at the Fog Bridge near the museum’s entrance. Weather tip: Don’t get caught in San Francisco after dusk without a coat! While it may be Cali-sunny at the hotel, The City can get very chilly at night once the fog starts rolling in. The holiday ice skating rink at Justin Herman Plaza, just across from the Ferry Building, will be open during the convention. The Embarcadero Center faces the plaza, where you’ll find lots of shopping and dining options. You can also take yourself on a self-guided sculpture tour of the public art around the area, which will be displaying its dramatic holiday lighting in December. Even if you only have a few hours to leave the convention site during your trip, it’s easy, worthwhile, and a refreshing break to have a stroll through some of San Francisco, Burlingame, or even just the bay shore across the road from the hotel. Questions? Ask in the comments!